Gilt yields rise 26 basis points as Bank of England and US Federal Reserve signal an interest rate rise in the autumn although currently high annuity rate levels are little changed. 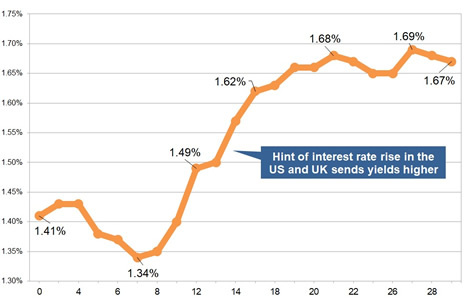 The 15-year gilt yields increased by 26 basis points to 1.67% during the month following the Federal Reserve and Bank of England's strongest indication yet that interest rates will rise in the autumn. 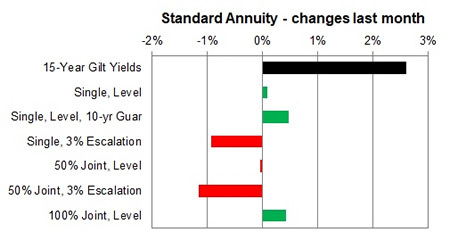 Providers of standard annuities increased rates last month and only a small fall of -0.08% for this month and we would expect rates to decrease by -0.36% in the medium term. 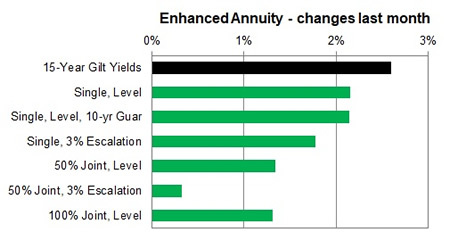 For smoker and enhanced annuity providers increased their rates by an average of 1.75% on average and rates may decrease by -2.88% in the medium term. For the month of September 70% of annuity rates increased by up to 2.5% with 8% remaining unchanged and only 22% decreasing. Standard annuities decreased by an average of -0.08%% during the month. The largest decrease was for escalating rates aged 60 to 65 decreasing by -2.4% for the month. 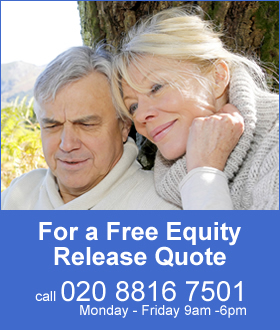 For enhanced and smoker the majority of rates increased by as much as 2.7% for those aged 65 to 75 for single and joint life annuities.